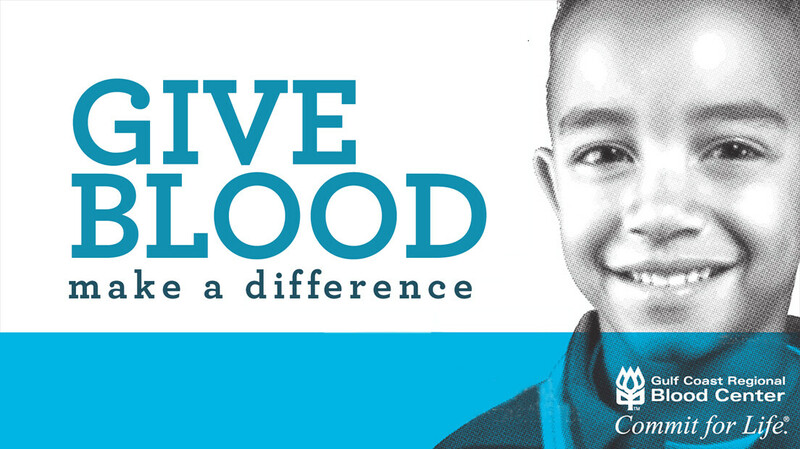 UBC and Gulf Coast Regional Blood Center invite you to donate the gift of life! Come by the UBC Chapel (west side) anytime Sunday between 8:00am and 1:00pm to donate. If you aren't able to donate at UBC, visit Gulf Coast Regional Blood Center to schedule an appointment.